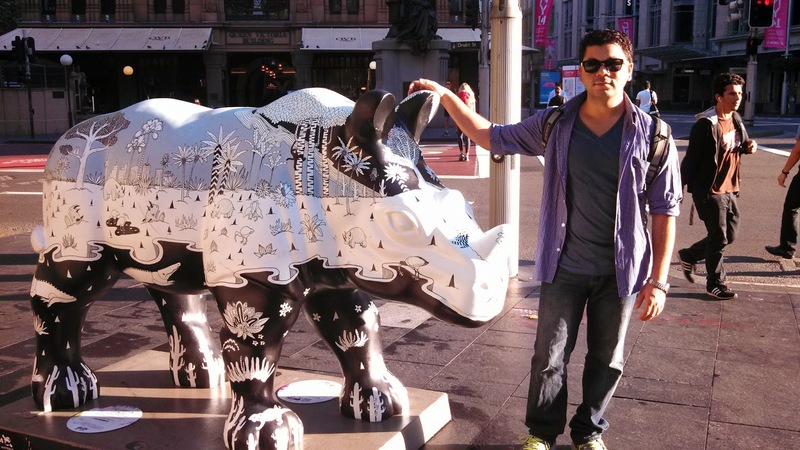 125 colorful and brilliantly designed Rhino sculptures have been placed all around Sydney CBD, initiated by Taronga Zoo to spread awareness about Rhinocerous. I loved the Zentangle like patterns in this one. Quite a stylish Rhino. 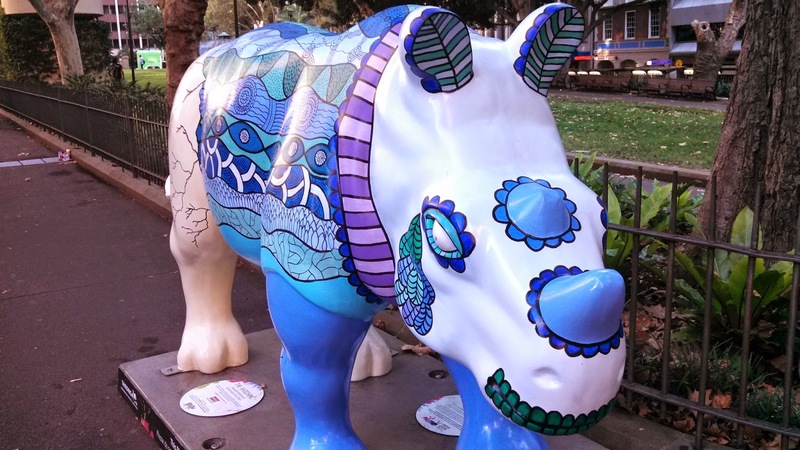 Acc to Taronga Zoo website, the inspiration was "The rhino is hatching out of an egg into a myriad of colours, representing hope for the future of the Rhino and that we can help the process of protecting and growing the numbers of wild Rhinos." 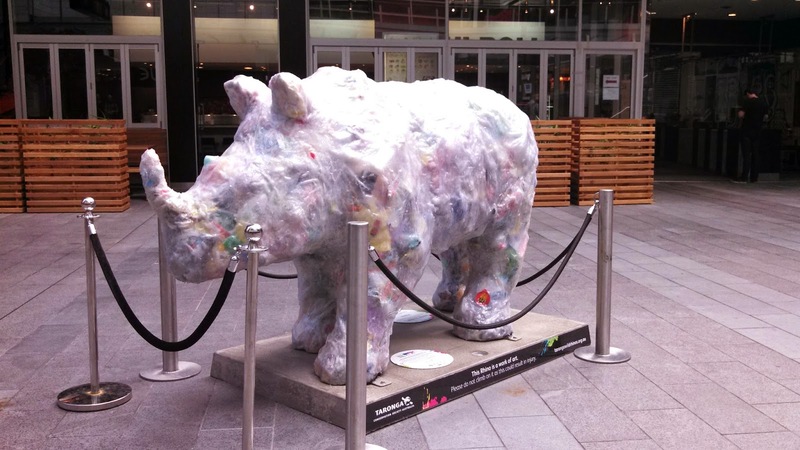 This Rhino is made of waste material. You can see plastic and waster bottles inside it. The surface is wax like, smooth and solid. 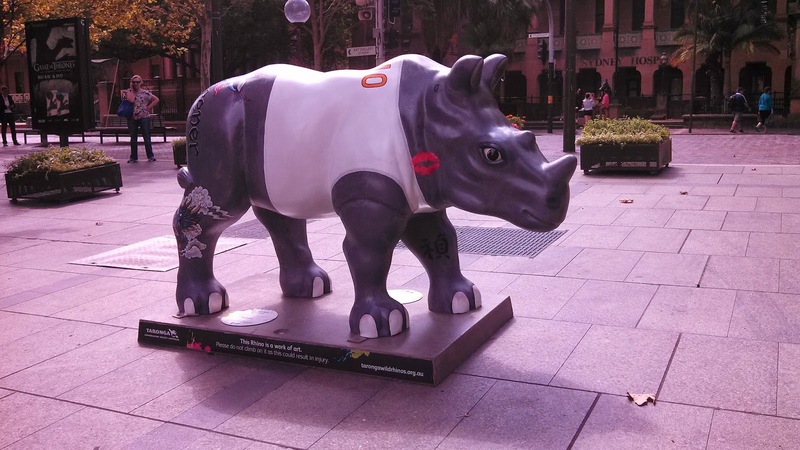 The non-organic rubbish was collected from both Taronga Zoo and the home of the artist, suggesting that such concerns are not abstract and removed from the incremental consequences of our daily lives. And we have a Stud Rhino too. The Rhino displayed many common tatoos like Koi the fish, dragon etc. So which one did you like the most? Everyone of them is beautiful, Rajlakshmi. But my personal favorite is the blue one! 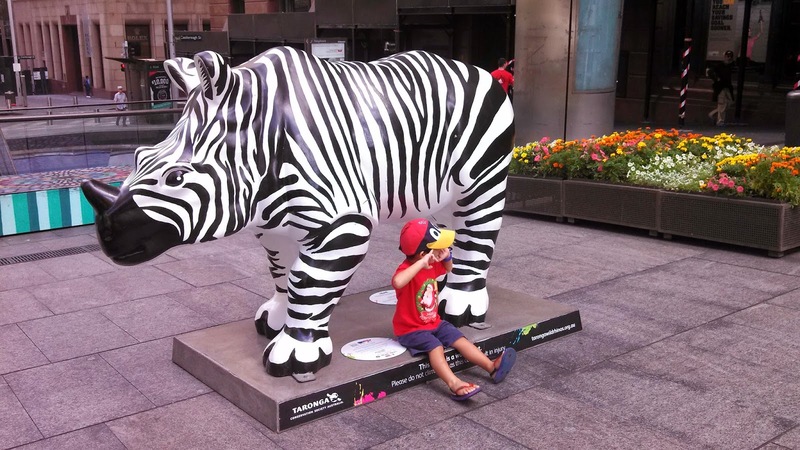 What a fantastic concept for wild life preservation! Rajlakshmi, I'd so love a miniature collection of those rhinos! They are very cute. And a clever idea with a message! I liked the idea of using non-organic materials to make something unique. 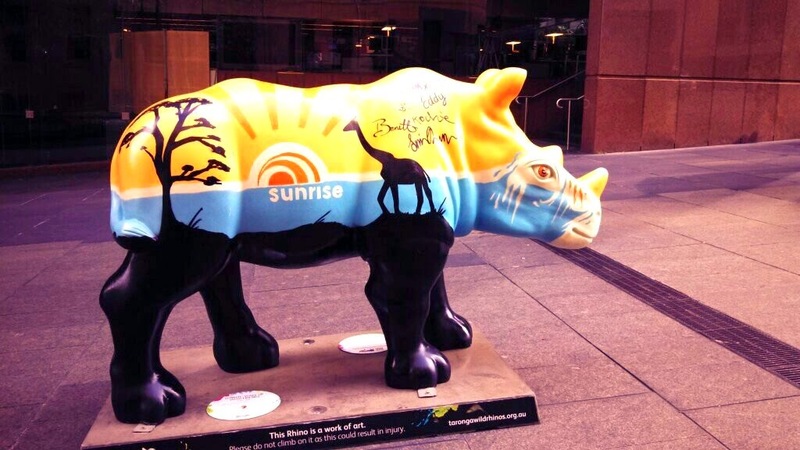 all the rhinos are colourful and beautiful. I loved them all, Rajlakshmi but I loved the Sunrise one, best of all. What a great idea to raise awareness! This is amazing!! Our town did something similar. I live in a town called Elkhart, so local artists designed and painted Elk statues to be placed all over the city. Afterwards they were auctioned off to the highest bidder and are still on proud display around town by those that bought them.